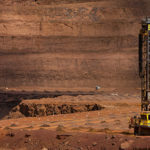 Rio Tinto has secured a spot on the annual list of the 50 most innovative companies in the world for its use of artificial intelligence (AI) and platforms, according to Boston Consulting Group (BCG). Brazilian mining major Vale is the only other mining company included in BCG’s list. Both Rio Tinto (49th) and Vale (19th) joined the list for the first time this year. According to BCG, many companies in the top 50 use AI, platforms and ecosystems to enable themselves and others to pursue new products, services and ways of working. Rio Tinto committed $3.5 billion to constructing its most technologically advanced mine in the Pilbara, Western Australia, last year. The Koodaideri iron ore project will integrate extensive automation and digitalisation technologies. It will also create 600 permanent operational jobs over a 30-year lifespan. Rio Tinto’s $1.2 billion driverless train and the largest robot in the world AutoHaul will also take the company’s iron ore from mine to market in the Pilbara. The system co-exists with the company’s current train staff, according to Rio Tinto Iron Ore managing director for rail, port and core services Ivan Vella. The 13th annual global innovation survey by BCG shows that AI use is expanding and that many companies rely on more platforms and cousin ecosystems to support their innovation efforts. Nine out of 10 respondents in the survey said their companies were investing in AI. More than 30 per cent also expect AI to have “the greatest impact of any innovation area on their industry” in the next three to five years. BCG’s most innovative list for 2019 is topped by Alphabet/Google, which removes Apple from its 13-year reign in the first seat. Amazon and Apple come in second and third ranks respectively.